Our new Wauwatosa location opens April 30th! We are happy to announce a new pickup location at 11100 W Walnut Rd. in Wauwatosa. Happy growing from the Jutrzonkas! Our mission is to offer an honest, reliable, and flexible service, with our owners working directly with our customers. In 2008 we opened our DNR licensed yard and food waste compost facility in Caledonia, WI. Our main focus is to produce 100% organic compost for gardeners and homeowners. Caledonia Location Opens April 15th! Starting April 15th come see our farm at 1137 27th St, Caledonia, WI during the hours of M–F 7:30am–5pm, or Saturday 8am–Noon. All-natural, organic materials—nothing more, nothing less. 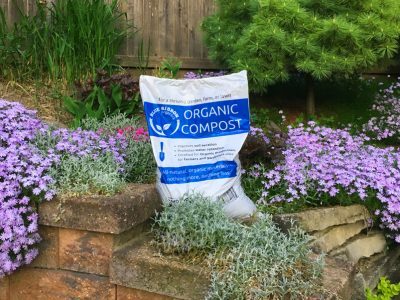 We are proud to offer quality, safe, organic compost to gardeners, farmers, and everyone in between. Tested by a certified lab, our compost meets OMRI’s standards for use in organic production as well as parameters set by the US Composting Council’s Seal of Testing Assurance program. No order is too large or too small. Delivery is available. Contact us for a free sample or visit us in person to see our operation and view our material. Sustainability Manager, Outpost Natural Foods Co-op.